Apple Product Release: Is Apple Releasing Products At The Wrong Time? Apple Product Release: There has been a lot of talk lately about when Apple Inc. (NASDAQ:AAPL) is going to announce its “next big thing” to the public. People want to see an iWatch. People want to see an Apple TV. People just want to see something. Apple Inc. (NASDAQ:AAPL), however, has not made it a habit of releasing products before it is good and ready to do so. The company strongly believes in holding out until the time is right. While there is nothing wrong with this, it is safe to say that Apple has made mistakes in this area in the past. And if you don’t believe that to be true, we don’t have to look any further than yesterday’s second quarter conference call. If you have been paying attention to past product launches, you probably have an idea of where this is going. 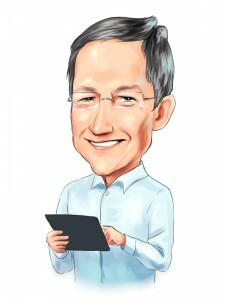 Any learning experience is a good experience, especially since Apple Inc. (NASDAQ:AAPL) will be able to use this moving forward. That being said, this is big news since Apple does not typically disclose this type of information. Obviously, Cook is referring to the fact that the iMac was released at the wrong time, which led to some delays experienced by consumers after ordering. In this case, Apple Inc. (NASDAQ:AAPL) definitely pushed its product to the public at the wrong time. This is not speculation, as it is coming direct from the CEO’s mouth. The question is: will Cupertino be able to avoid a similar fate in the future? There is no reason to believe this is a problem that will continue to plague Apple, but it is definitely something to keep an eye on. Check back here for more updates on Apple Product Release.